Watched by a happy crowd of friends, family and local VIPs, it was great to see that community spirit is not only strong in Ashington Village, but selfless service is recognised and appreciated. 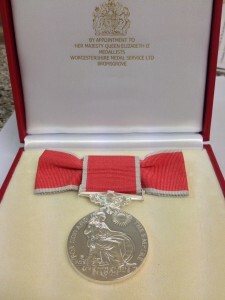 Margaret Alford received a British Empire Medal for her tireless commitment to village life and the community having devoted hundreds of hours of her free time to local matters including the Parish Council, the Community Centre itself and the Ashington Festival over the last 25 years. 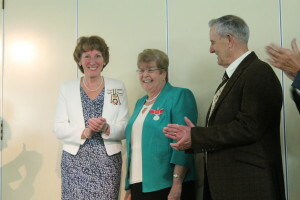 The award ceremony, held at the Ashington Community Centre and sponsored by the Trust, was attended by the Lord Lieutenant Susan Pyper and her deputy Margaret Bamford who read out the citation and presented the medal to Mrs Alford. Margaret gave a short speech in which she thanked her husband, David, for all his support, and her friends and family for all of the help they have given her as well. Margaret and David will be attending Buckingham Palace for the garden party later this year by invitation of The Queen. 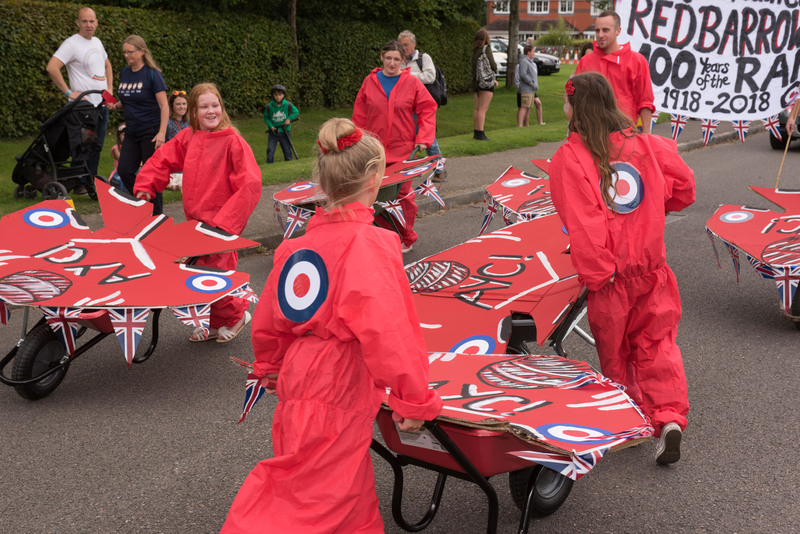 The Ashington Festival is held on the third Saturday of every August – this year it is the 15th and starts with a Carnival Procession and continues with live music and entertainment throughout the day and evening. 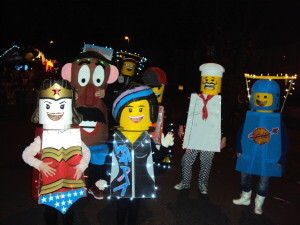 A fireworks display and disco see the night out and all are welcome to this entirely free show! 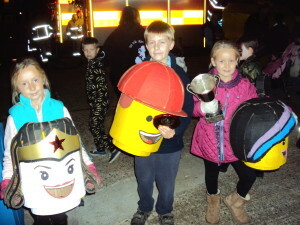 A village group representing Ashington Festival won 1st prize for the best walking group in Littlehampton’s Bonfire Society‘s bonfire night parade on the 25th of October. 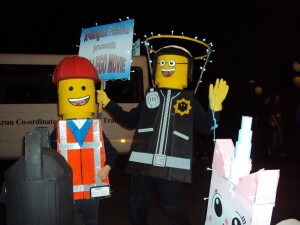 ‘The Hillcrest Horses’ dressed as the Lego Movie characters won 1st prize for the best Walking Group in Ashington Carnival and has now done the same at Littlehampton so well done and congratulations to all the group.